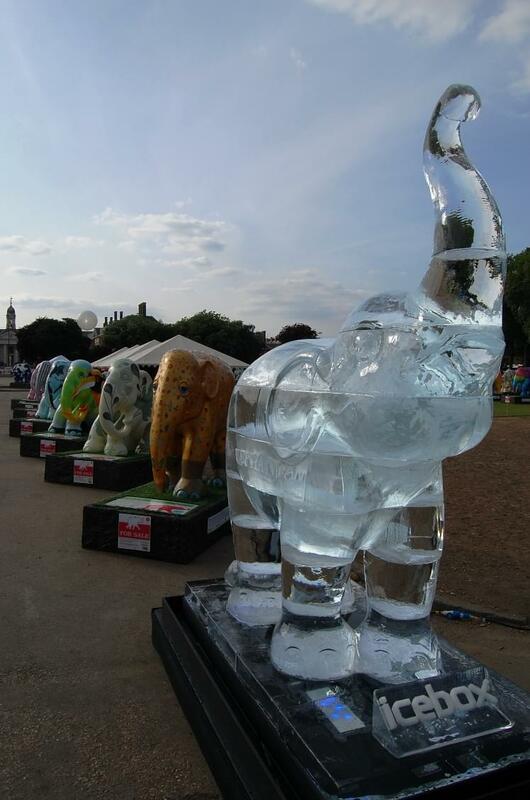 In 2010, a herd of 260 fibreglass Asian elephants invaded London in a show billed as the capital’s biggest public art exhibition. For two months, the exhibition mopped up over 500 press articles, 10 hours of TV and radio air time and reached an audience of 25 million. Each elephant was decorated by a different artist or celebrity and set up in streets, parks and squares. 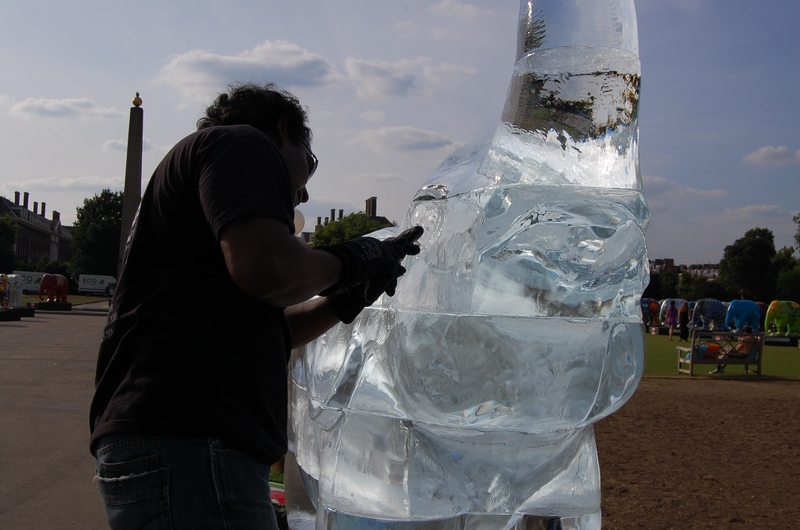 Our Icebox elephant was hand carved on site at the Royal Hospital Chelsea and stood proudly among the elephant family creating a wonderful press hype for celebrity photo opportunities.